The new Common Law Admission Test (CLAT), which the national law universities (NLU) had recently decided will be held by a permanent CLAT secretariat instead of letting a new NLU learn find new ways of botching it up every year, will be held entirely offline. NLSIU Bangalore has put out a call to recruit five permanent faculty members, for the first time since 2009, when vice chancellor Prof Venkat Rao had joined, with one permanent faculty having been recruited as long ago as in 2008. Professor Venkat Rao has been re-elected as NLSIU Bangalore vice chancellor (VC) for another term of five years. NLSIU Bangalore side-stepped Right to Information (RTI) requests on grades, cheating & faculty. Exclusive: Dismissed NLSIU Bangalore faculty member Sidharth Chauhan is currently in talks to join Nalsar Hyderabad in June for the start of the next academic session. Exclusive: NLU Orissa (NLUO) Cuttack has whittled down the final shortlist of candidates from which it will select the university’s next vice-chancellor (VC), two months after outgoing VC Chandra Krishnamurthy resigned. Exclusive: NLSIU Bangalore has launched a host of new construction in its academic block, hostels, and basketball courts while NLU Delhi has decided to renegotiate the pay of its foreign-educated faculty, after both law schools were sanctioned close to Rs 8 crore by the University Grants Commission (UGC) in November 2012. 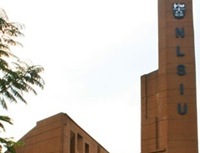 A similar grant was also extended by the UGC to the other 12 national law schools (NLU) late last year under the eleventh five-year plan, after their vice chancellors (VC) lobbied aggressively against excluding the law schools from central funding. Breaking & exclusive: NLSIU Bangalore faculty and alumnus Sidharth Chauhan was yesterday dismissed from service, little over a month after he wrote to vice-chancellor (VC) R Venkata Rao criticising his non-consultative manner of imposing a 9pm ban on opening the law school gates. National Law School of India University (NLSIU) Bangalore may expand internationally, as it plans to grow and modernise under the guidance of a new advisory board. The advisory board will include managing partners from Amarchand & Mangaldas & Suresh A Shroff & Co, AZB & Partners and Luthra & Luthra, as well as one of the legendary co-founders of Infosys and a host of other prominent industry figures. 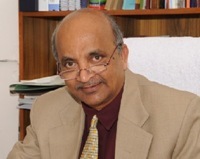 NLSIU vice-chancellor Venkata Rao (pictured) said that while international expansion will be on the agenda, decisions would only be made once the new board is fully constituted and has had its first meeting in July or August of this year.